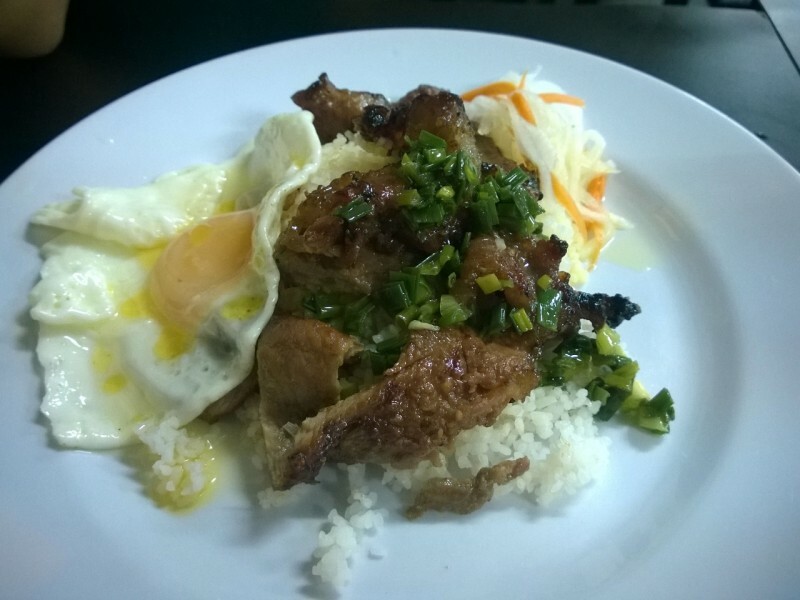 Broken rice, grilled pork chop and a fried egg. Quite expensive by Vietnamese street standards (~70,000VND) and in light of similar competition, extortionate. This branch must be riding on the name as the food under-delivered big time. The fact this restaurant was mostly empty at dinner time should have rung alarm bells but a friend had insisted Bụi Sài Gòn (maybe another branch) is worth the money.